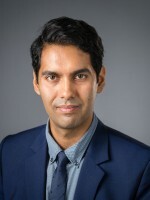 Shaan Devnani is an Associate Director at London Economics. He has advised widely on financial sector issues for private, government and intergovernmental organisations. This involves providing advice on policy development, analysis and tracking to the likes of national governments and analysing strategic, commercial issues for private clients. Shaan Devnani has primary responsibility for carrying out our Consumer Finance and Financial Markets and Institutions projects. Prior to joining London Economics, Shaan worked as a consultant for the World Bank on developing and evaluating financial innovations targeted towards vulnerable groups in less-developed economies. He has also consulted for various financial services providers including investment banking, retail banking and non-life insurance institutions. Shaan holds degrees from Cambridge University and the London School of Economics.